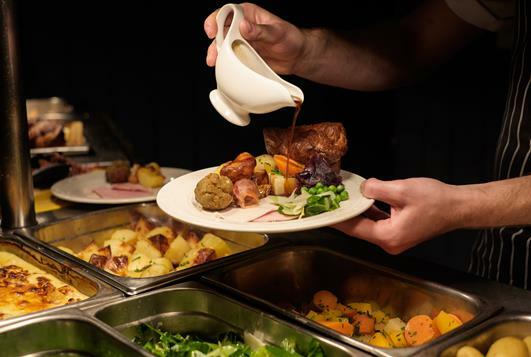 The Country Kitchen is open for lunch (12pm until 2pm) and dinner (5.30pm until 9.30pm) Monday to Saturday and from 12pm until 9.30pm on Sundays. 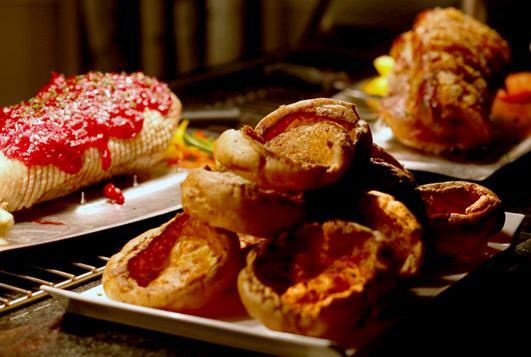 The Country Kitchen offers a wide selection of freshly prepared dishes. 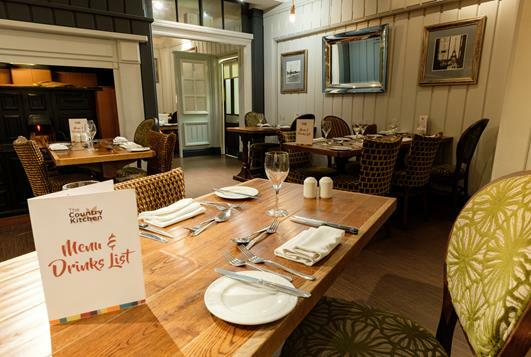 For starters, help yourself from the salad bar or home-made soup, then choose from a selection of homemade pizzas and burgers or a carvery roast for main course. 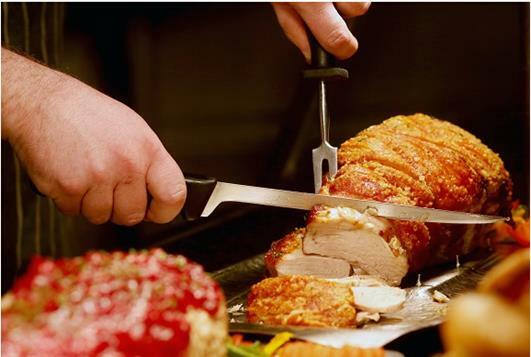 To finish, there's a dessert buffet plus one hot pudding from the kitchen, for a great value all inclusive price. Thoroughly enjoyed our visit good food friendly service and really excellent dinner . We do hope to welcome you back to Moor Hall soon. Good value for money and good choice of food. Staff very attentive. Maybe some soft background music would add to the atmosphere. Thank you for taking the time to post your lovely review. Our main cultural value is to make our guests happy and I am pleased that you had a lovely time. Loved everything - Will be trying to come back to visit again soon. Thank you for taking the time to post your lovely review. We are delighted that you intend to visit us again and look forward to seeing you soon. The chef was lovely, friendly and gave great service but the rest of the wait staff were slow, forgetful and not very attentive at all. We had to ask several times were our starters were as it took 20 minutes to pour soup. Wine was included as part of our package and it had been forgotten. There was only 2 choices of dessert and there were other people also dissatisfied with this. It was just poor and training is required. It is always our policy to encourage feedback from our guests as this helps us improve our service to you and future guests, and I would like to thank you for bringing your observations and your experience to our attention. I will ensure that our staff receive the additional training they require. Thank you for posting your 5* review and fantastic feedback following your visit. Your kind comments are really appreciated, and our dedicated team will be thrilled to hear that they helped to make your anniversary so special. 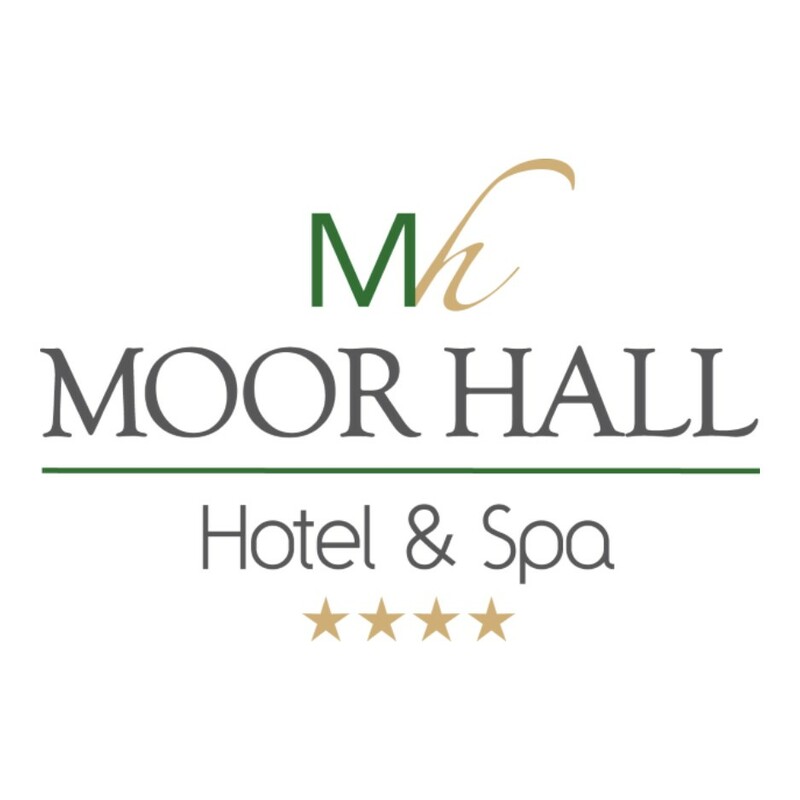 We look forward to welcoming you to Moor Hall again soon. 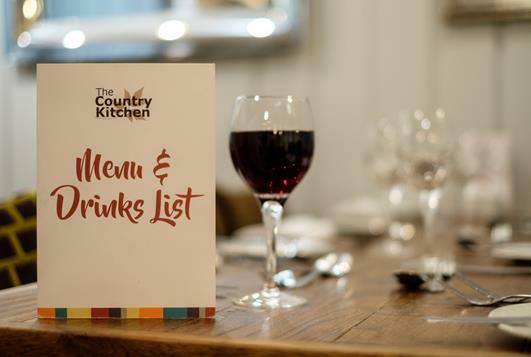 A little disappointed last time we visited the country kitchen last Saturday .There seem to have been just one person serving no one to greet us and take us to the table we had to go looking .The food very good perhaps a couple more staff on at lunch time . It is always our policy to encourage feedback from our guests as this helps us improve our service to you in the future, and your comments have been discussed with the relevant heads of department and will be used as a basis for future staff training. We are pleased the food was to your liking. We hope that you will choose to return to Moor Hall in the near future. Service and staff very friendly. Apple crumble dessert was really tasty! Thank you for taking the time to post your lovely review. Chef and his team are always delighted to receive great feedback and they are pleased you loved the Apple Crumble. Thank you for taking the time to leave your 5* review. We are delighted you had a wonderful experience and look forward to seeing you again soon. The service was excellent, just found the food limited in choice in terms of the cold buffet starter and just one hot pudding which had too much cinnamon in for a lot of our parties taste. The staff were so friendly. Lovely atmosphere. Good food. Excellent. Excellent food and service will be coming back again when possible. Staff through friendly and helpful. Enjoyed by all the ladies in the group (6). Food and service is always first class. But this was superb. Staff were outstanding. We celebrated my fathers 86th birthday and your staff looked after us very well. Particularly a lady who was our waitress, she was excellent! As there were only 2 other people dining at the same time. We did, in my opinion, wait a long time before anyone took our order for drinks.